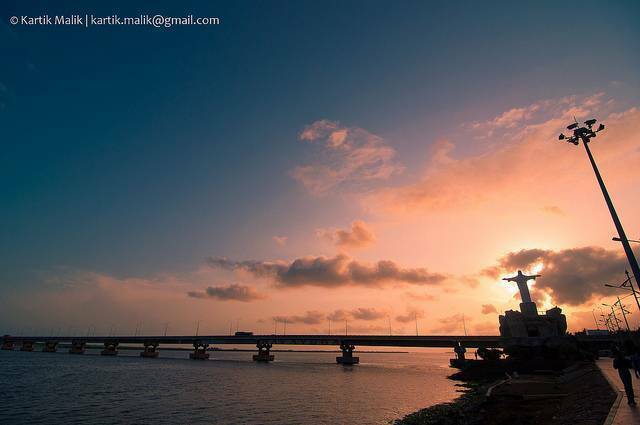 Yanam is a small town located near the delta of Godavari River and is part of Indian union territory of Puducherry. Yanam is a former French colony, which became part of Indian republic in 1954. Yanam used to be known as French Yanam for that reason. Yanam town still has its own unique mix of French and Telugu culture. Yanam is a good place to visit and has many sights such as old churches, coconut tree lined paths and some French restaurants. French is still an official lanuage here.